No Win No Fee Lawyers - What is No Win No Fee? 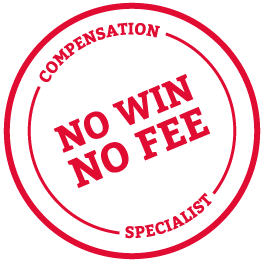 Thompsons’ No Win No Fee lawyers bring peace of mind to the compensation claim process by ensuring that you pay nothing to fund the cost of your legal advice and compensation claim unless your case proves successful. This means that, whatever the circumstances, unless you win your case, you do not have a single penny to pay. Furthermore, this is not complicated by any hidden costs, caveats or small print. In short, there are no nasty surprises for our No Win No Fee clients. There are other funding arrangement available to help you make a compensation claim, but these often come with a variety of possible costs and fees for which you may be liable. Without the protection provided by a true No Win No Fee agreement you would be responsible for paying some or all of these items. On top of this, if you lose your case you may not only have to pay your own costs - but the costs of the other side as well. A No Win No Fee arrangement is special agreement between you and your lawyer that allows you to make a claim for compensation without having to worry about how to pay for it. The costs and fees still have to be paid for, but they are covered by an insurance policy so that, if you lose, the insurance company will pay all the legal fees and outlays. The position is different if you win, and depends on the agreement you have with your lawyer. If we act for you on a No Win No Fee basis and are successful on your behalf we will always try to recover all our costs and outlays from the other side, although on some occasions we will have to recover the balance from you. Many lawyers offer a No Win No Fee service, but beware; not all No Win No Fee agreements are the same – it really is in your interest to check the small print. If you would like to know more about what a No Win No Fee arrangement means as far as Thompsons is concerned, click on our video below. We believe that we have developed a No Win No Fee package that gives the victims of injury and occupational disease the best possible chance of obtaining the maximum sum of compensation for their injuries and ill-health. Thompsons' No Win No Fee lawyers have successfully helped thousands of people recover compensation for personal injury. In fact, we recover over £1 million every week for our clients and win around 90% of the cases we take on. Over the years Thompsons has won numerous awards for our litigation work and for individuals who have shown particular excellence in their fields. See more about our awards here. If you have suffered an injury as a result of an accident that was not your fault, why not give us a call for free legal advice. We can talk you through the process, and advise you on whether or not you have a valid claim. How much could you claim? Call 0800 0891331 to have a chat with our No Win No Fee Lawyers in Scotland.